Klein’s research group now has shown that BMI1 plays another role in ensuring that the process of development unfolds normally. The hallmarks of all stem cells are that they are immature, they keep dividing to replenish their numbers almost indefinitely, and they generate new specialized cells to function in the tissues in which they reside, a process called cell differentiation. Pushed in one direction, the BMI1 switch enables normal stem cells to divide and renew their own numbers. Thrown in the other direction, it keeps cell proliferation in check. But now, Klein’s research team has shown that BMI1 also keeps this stock of stem cells from spinning off daughter cells that mature into the wrong type of specialized cell in the wrong place. The new discovery suggests that manipulating BMI1, along with other regulatory molecules, might one day be among the steps included in molecular recipes to turn specialized cell development on and off to create new cell-based treatments for tissues lost to injury, disease or aging, Klein said. The dual role of BMI1 also is intriguing to think about in pathological settings, such as cancer, Klein said. Growing evidence suggests that many cancers are driven by abnormally behaving adult stem cells or by cells that have abnormally acquired stem-cell-like properties. If these cancerous cells could be made to become specialized cells rather than stem cells when they divide, it might slow tumor growth, some cancer researchers believe. Inactivating BMI1 in cancer stem cells might be one strategy, Klein suggested. 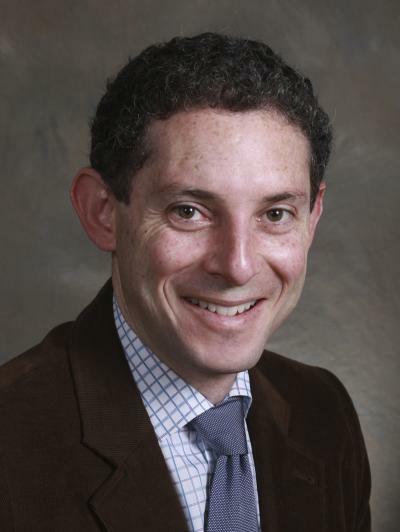 Ophir Klein, M.D., Ph.D., directs the Craniofacial and Mesenchymal Biology Program and serves as chair of the Division of Craniofacial Anomalies at UCSF. The study by Klein’s research team is published in the July issue of Nature Cell Biology, and was conducted on adult stem cells found in the large incisors of mice. Klein, a faculty member of the UCSF School of Dentistry, as well as the School of Medicine, studies teeth, intestines and other tissues to understand the biology and molecular mechanisms that regulate stem cells in these organs. Knowledge gained in these studies can further fuel his specific interest in finding new ways to generate replacement tissue to treat conditions such as Crohn’s disease and craniofacial abnormalities — and to grow new teeth. The incisor of the mouse, unlike any human tooth, grows continuously, and is an attractive focus for stem cell research, in Klein’s view. “There is a large population of stem cells, and the way the daughter cells of the stem cells are produced is easy to track — it’s as if they are on a conveyor belt,” he said. Early in life humans possess stem cells that similarly drive tooth development, but they become inactive after our adult teeth are fully formed during early childhood. In the current study, postdoctoral fellows Brian Biehs, PhD, and Jimmy Hu, PhD, determined that there is a group of adult stem cells at the base of the growing mouse incisor and that these stem cells possess active BMI1. They showed that BMI1 can suppress a set of genes called Hox genes that, when activated, trigger the development of specific cell types and body structures. In the mouse incisor, the researchers showed that activity of BMI1 in the stem cells maintains their stem cell fate and prevents inappropriate cell differentiation by suppressing the expression of Hox genes. This essential developmental role of BMI1 in watchdogging the production of specialized cells is likely to have been conserved through evolution, because studies of Hox genes in fruit flies suggests that there may be a similar role for BMI1 in insects as well as mammals, Klein said. Using the mouse incisor, Klein and his colleagues intend to continue exploring how stem cells and their behaviors are molded in turn by cues they receive from surrounding cells. “This new knowledge is useful in a fundamental way for understanding how cell differentiation is controlled, and may help us manipulate stem cells to get them to do what we want them to do,” Klein said.